The Reston Century will be held on Sunday, August 28 starting at Reston Town Center. It's one of the more popular local rides, with full century, metric century, and half century route options. Volunteers are needed preparing for and working at the rest stops, route marking, and other tasks. To volunteer you can sign up online. Falls Church will be part of the growing Capital Bikeshare network providing important links to East and West Falls Church metro stations, as well as, connecting to neighboring bikeshare networks. Local officials heard from several FABB members and bikeshare supporters who wrote in and spoke up asking that the Falls Church bikeshare program be funded during a round of public hearings in June. There were a few twists to the victory, however. 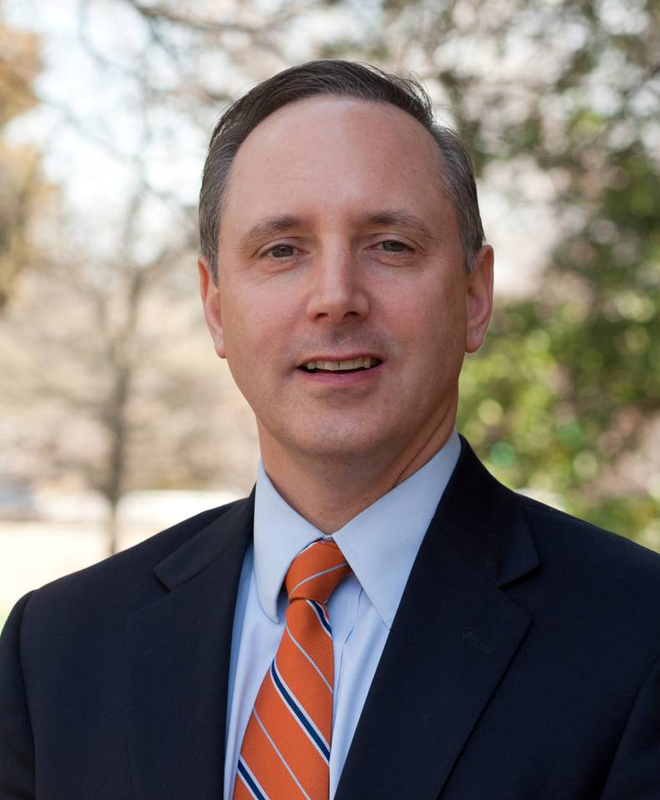 The City of Falls Church had applied to the Northern Virginia Transportation Authority for funding to cover the capital costs of buying the equipment and to the Northern Virginia Transportation Commission for the first few years operating costs. The NVTC approved the operating funds but NVTA denied the needed capital leaving the program in doubt. Luckily, Fairfax County and City of Falls Church officials recognized the value of the bikeshare program and were able to work out a deal to help allocate necessary funds to jumpstart the city's program. Fairfax County agreed to defer $2 million of its 2018 Regional Surface Transportation Program funds for the Falls Church bikeshare. The county will get those funds back during the next RSTP process. This is great news for bicycling in Northern Virginia and kudos to officials in both jurisdictions in working out a deal. 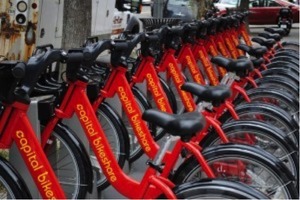 With Reston and Tysons Corner bikeshare coming soon, keep your eye out for lots of red Cabi Bikes in the area. 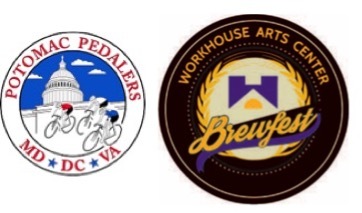 FABB is proud to be working with the Potomac Pedalers and the Workhouse Arts Center in promoting and supporting BrewFest, the first of its kind craft beer event in Fairfax County. BrewFest takes place on August 13, 2016 from 10am-6pm, rain or shine, at the Workhouse Art Center, 9518 Workhouse Way, Lorton, VA 22079. The Potomac Pedalers will have rides starting at 9am near the event with routes ranging from 30-60 miles out to Mason Neck and back. See the Potomac Pedalers calendar for ride details here. Bike racks will be available on site and FABB-prepared cue sheets for bike routes to BrewFest are available on the Workhouse website by clicking here. Despite some of the hottest weather in four years, more than 150 bicyclists took to the roads for the inaugural RVA2DC last weekend. They rode 156 miles over two days from Richmond to Arlington helping to raise awareness for bicycling across the Commonwealth. Approximately 30 riders from Fairfax participated in the ride, earning a cool medal and bragging rights for riding in the first RVA2DC ride. FABB members supported the riders running the aid station in the Town of Vienna. Volunteers provided food, drink and a cool place to rest as temps hit the high 90’s. Hopefully that helped energize the riders for the remaining 15 miles along the W&OD to the finish in Arlington’s Gateway Park. Riders we spoke with said that despite the heat, the ride was great and would do it again. Some expressed the need for better biking infrastructure coming up out of Manassas, and improvements along the Fairfax County Parkway. FABB was a proud partner with Sports Backers and advocacy beneficiary for RVA2DC. 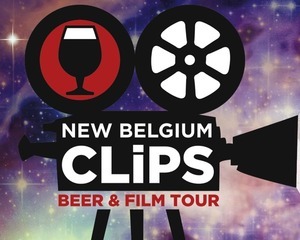 FABB is excited to again be partnering with New Belgium Brewing for the Clips Beer and Film tour at the Reston Town Center. Mark your calendars. This year Clips will be Friday, September 16. We’re looking forward to building on last year’s success and making this event even better! Clips is a fun outdoors event at the Reston Town Center showcasing a collection of film shorts and sampling many of New Belgium’s specialty beers, all while benefiting bicycling in Fairfax County. This is FABB's biggest fundraiser. We can’t do it without our volunteers! Volunteers will receive a Clips T-shirt, pizza before the event, and a special beer to celebrate afterwards. For details on volunteer positions and to sign up, check out the volunteer signup page. If you can’t volunteer, then come by, have a few drinks and be sure to invite your friends! Bike valet will be available on site. The event begins at 7pm. Films will begin showing around 9pm. FABB was fortunate to have Fairfax County Supervisors join its last two monthly meetings that were held in the Lee District in June and Braddock District in July. Lee Supervisor Jeff McKay and Braddock Supervisor John Cook both attended the FABB meetings in their districts and discussed on-going and future bicycle projects and offered their support of biking as a key element to building better neighborhoods. Discussion at the meetings also covered the importance of providing trails to parks and recreation facilities, and continuing to add bike lanes around the county. In addition, Fairfax County Public Schools Board Member Megan McLaughlin attended the Braddock District meeting. She talked about Fairfax County Public School’s efforts to increase biking and walking but also offered her experience on how to become better advocates to the FCPS School Board. Thank you Supervisors McKay and Cook and School Board Member McLaughlin for your time and support of better bicycling. FABB continues to rotate its monthly meetings around the county in an effort to hear from bicyclists about their local biking concerns. The next FABB meeting will be held at 7:30pm, Aug 17, at the Patrick Henry Library in Vienna. Check out FABB's event calendar for information about upcoming meetings. According to BikeArlington's bicycling data, the first week Metro’s SafeTrack program saw a 42%-86% increase in biking on the Custis Trail over last year’s numbers. The Mt. 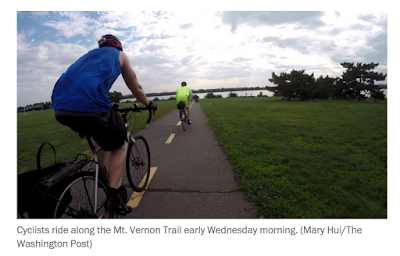 Vernon trail near Reagan International Airport experienced a 47% increase during Surge 3. With four surges of SafeTrack completed, some patterns are emerging with respect to the effect the Metro maintenance program is having on the bike traffic in Arlington. The bottom line is that biking numbers were up, but those numbers fluctuated between the different maintenance surges. For a closer look at the numbers, check out BikeArlington’s “Arlington Bike Counters During SafeTrack: High Volume, Though Your Surge May Vary” which offers an interesting analysis of the county’s bike data during the different stages of WMATA’s SafeTrack program. During the last week of school, students at Vienna area elementary schools participated in the annual Walk Bike Challenge Week and clocked a combined 6,473 trips to school by foot, bike, skateboard and scooter. Of those trips, 1,250 were by bicycle. Vienna area students have continued to fortify their impressive record during this annual event. This was the 4th year in a row students have exceeded 5,000 trips, and the second time they’ve topped 6,000. Cunningham Park E.S. received the Challenge Cup and Vienna E.S. was recognized with the Biking Cup for the fifth straight year. Vienna E.S. had 232 students bike to school on Friday - over 50% of the students. Great work everyone! 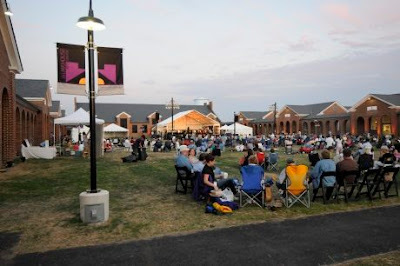 August 13 - 10a - 6pm, Brewfest, Workhouse Art Center, 9518 Workhouse Way, Lorton, VA 22079. 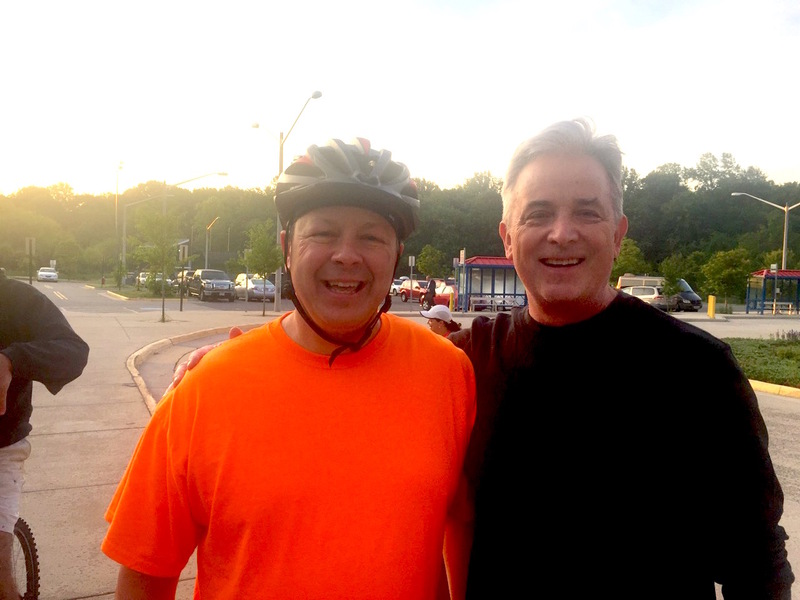 William Clougherty of Oak Hill and Donald Curran of Burke posed together when FABB approached them on Bike to Work Day in Burke. William said he does most of his riding on the W&OD Trail. Donald, who was featured in Faces of Fairfax last year, regularly bikes to work but also rides for enjoyment. He said that he enjoys the feeling of freedom he gets when he bikes. Both men said they would like to see more bike lanes and trails to make riding easier and safer in Fairfax County. In 2016 FABB has been active advocating for Fairfax County and VDOT to continue making multimodal improvements to improve side trails and ramp crossings and add bike lanes, shoulders and wide curb lanes to routes such as the Fairfax County and Franconia-Springfield parkways and the Little River Turnpike inside the Beltway. 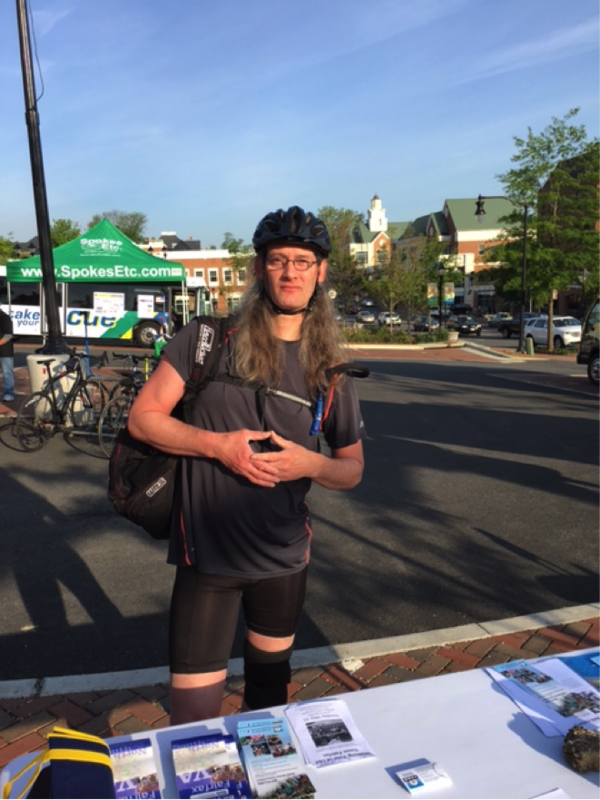 FABB continues to encourage people who ride bikes or love someone who does to make their voices heard on improving bicycling infrastructure and safety at public hearings publicized on this blog site. As part of their efforts to encourage local cyclists to attend the Workhouse Arts Center Brewfest on Saturday, August 13, the sponsors have worked with FABB, Potomac Pedalers, and Active Prince William to prepare cue sheets and rides around the event. FABB, with the help of several volunteer members, has developed cue sheets from nearly a dozen locations in and around Fairfax and Prince William Counties. These routes range from a few to nearly 20 miles and include points in Fairfax City, Annandale, Vienna, Burke, Alexandria, and Woodbridge. Find links to the cue sheets on the Brewfest FAQ page here. 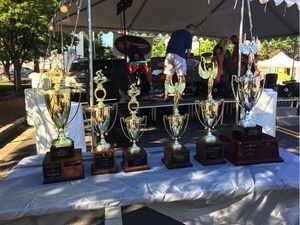 Also, the Potomac Pedalers, with help from Active Prince William and FABB in developing routes, are leading rides starting at 9 am from near the event site. Rides will range from short local jaunts to ones that go 60 miles out to Mason Neck and back. Non-members can join the rides but must sign a ride waiver. Check out the Potomac Pedalers site for ride details here. Bike racks, of course, will be available on site. General admission starts at noon but for those who want to get a head start on sampling the wide array of craft beers and cider available, VIP and “Hopstar” entry is available at 10 and 11 am. Workhouse Art Center is located at 9518 Workhouse Way in Lorton. The diverse, historic Richmond Highway (Route 1) corridor is on the cusp of major revitalization. A new bus rapid transit line is in the works and now the county is updating its comprehensive plan. With your help, Route 1 could be a great modern urban boulevard. Make sure the new comprehensive plan supports green, walkable, transit-oriented, and inclusive communities. A grid of pedestrian and bicycle-friendly streets for each transit-oriented center. Safe, reasonable crossing distances – with 10 to 11 foot lanes, protected bicycle tracks, and reduced speeds through the transit-oriented centers. Expanded and connected parks and stream buffers, and modern stormwater management. Proactive strategies to preserve existing affordable housing and include new affordable housing in redevelopment. 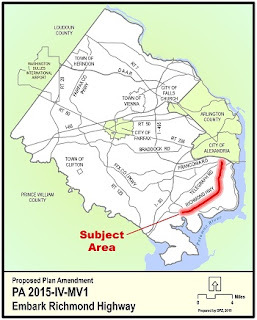 Development scaled to high-frequency bus rapid transit with options for increases tied to future Metrorail at Beacon Hill and Hybla Valley. It’s important that the plan include clear guidance on these issues to ensure that county staff, VDOT, and private developers follow-through in creating a sustainable and inclusive community. Even if you don’t live near Route 1, show your support for this historic part of Fairfax. PS -- Can you do more? Join us at the second big public meeting for the study next Monday, July 25, at West Potomac High School (6500 Quander Road) at 7 pm. This month, Kidical Mass Arlington will Find Its Park and our riders will become Junior Park Rangers!!! The National Park Service has a little birthday coming up, and to help them celebrate, we're going to ride around Arlington's own national park: the GW Memorial Park. 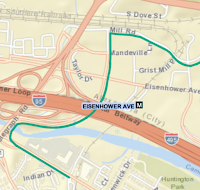 This route hits the close-in highlights of the park that is lovingly called George Washington Memorial Parkway: We'll start at the Marine Corps War Memorial ("Iwo Jima"), then bike to the Netherlands Carillon. We'll then take trails to the Lyndon B. Johnson Memorial Grove, and then ride on the Mt Vernon Trail back to Theodore Roosevelt Island. In a little twist to the normal Kidical Mass Arlington ride, we will stop at all of the parks! And there's more! 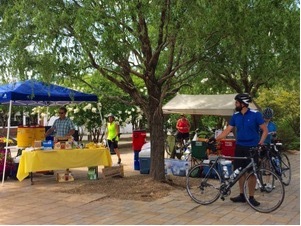 BikeArlington and NPS Park Rangers have organized some activities for us -- we'll do a few activities at each park. 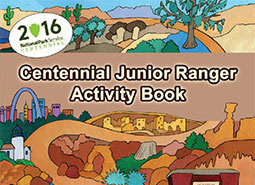 At the end of the ride, all of the riders will have earned Junior Park Ranger credentials for the GW Parkway. Yay! The route is on the longer side and hillier side for one of our rides, but there will be stops. The route is all on trail, though there are some places where we'll cross streets in crosswalks - we'll be careful there. We can expect the Mt Vernon Trail to be used by others, and we will be respectful to others, staying to the right and allowing others to pass. Kids on their own bikes must be able to follow directions well. Expect the whole ride to last 60-90 minutes. Bring snacks and water to last to the end. After the ride, families may wish to spend more time on TR Island. The route back from TR Island to Iwo Jima is a little less than a mile, and involves a short, steep hill. Through Rosslyn, families may be more comfortable biking on the sidewalk, though the roads are medium stress. 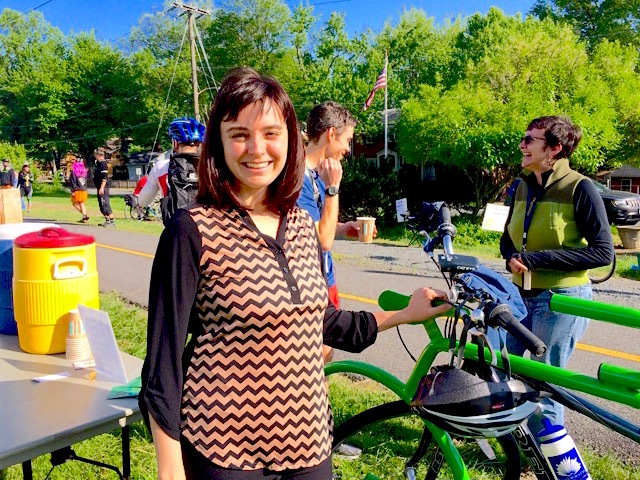 Michelle Neyland of Falls Church told FABB that she regularly commutes by bike to her job in DC. Asked why she rides, Michelle answered that cycling was part of a healthy life style for her. Responding to a question about what she likes most about riding her bike, she said that she found it empowering. She added that biking also provides a meditative space for her to process the day. Of the things Fairfax County could do to make biking easier and safer, Michelle offered that she would like to see more snow clearing and de-icing of trails in winter. In addition, she thought that more needed to be done to improve safety at street crossings. Finally, Michelle said that she would love to see more trails like the W&OD and Custis Trails. Although not something people are likely to think about in July, FABB has been a longstanding advocate for snow removal policies and ordnances in the county. The heavy snows of the past two winters appear to have increased the profile of the issue with the Board of Supervisors. But more public support is needed to push the county and Virginia Department of Transportation to treat pedestrians and cyclists fairly when it comes to clearing snow from trails, sidewalks, and bike lanes. Fairfax County will hold community meeting on the plans and work currently underway on the Embark Richmond Highway project on Monday, July 25, 2016, from 7 to 9 p.m., at West Potomac High School, 6500 Quander Road, Alexandria. FABB members may recall from earlier posts that the Embark Richmond Highway project supports the county’s long term goals of improving the county’s pedestrian and bicycle systems, expanding transit service, and building more dense, mixed-use, transit-oriented developments to attract residents and businesses, create more jobs, and increase tax revenue. Among the presentations to be made at the meeting, there will be a discussion of the proposed Richmond Highway multi-modal cross-section that accommodates transit, automobiles, bicycles and pedestrians. A brief question and answer period will follow the presentations and the public will be able to talk one-on-one with county staff representatives who are leading various aspects of the project. To make it easier to attend, Fairfax County has posted maps and schedules here for public transportation to the event through Fairfax Connector Routes 152, 161 & 162. Also, on-site childcare is available, on request, for children over the age of 3. Requests for childcare and transportation assistance will be accepted through Thursday, July 21, 2016, by calling 703-704-6700, TTY 711, or by email at maria.franco-nativi@fairfaxcounty.gov. The Fairfax County Department of Planning and Zoning (DPZ), Fairfax County Office of Community Revitalization and Reinvestment (OCR), and Fairfax County Department of Transportation (FCDOT) will be hosting a live online chat on Thursday, July 28, 2016, at 11 a.m., to help answer questions from residents impacted by the Embark Richmond Highway project. Send in your questions today or participate live here. A while back we met with Fairfax County Police to discuss the problem of motorists turning right on red without stopping, and the danger that this presents to pedestrians and cyclists. We were joined in the meeting by a cyclist who was severely injured while crossing the Dulles Toll Road exit ramp at the Fairfax County Parkway Trail. During the meeting we showed a short video taken that morning at the intersection of Wiehle Ave and Sunset Hills Road, adjacent to the Wiehe-Reston East Metro Station. The video shows several motorists running the red light on Sunset Hills Rd while turning right on red. Motorists are looking left for oncoming traffic, ignoring pedestrians and cyclists approaching from the right. Even when there is a WALK signal, motorists often ignore it and run the red light. Our goal was to encourage police to increase enforcement of this illegal activity. We were very disappointed when after seeing the video one of the officers said that it would be difficult to have a ticket hold up in court based on the motorists' actions. We were told that the judge would likely ask "Did the motorist slow down and look for oncoming traffic." and according to the officer the answer would be "Yes." What is so discouraging about the answer is that while motorists may have been looking for motor vehicle traffic approaching from the left, they were totally ignoring ped/bike traffic coming from the right. My wife and I carry whistles that we use to get motorists' attention at this intersection. It's one of the most dangerous places we ride, and there is a lot of ped/bike traffic going to and from the Metro station. The take away from the meeting was that we have a lot of work ahead of us. The police and the court system is biased toward motorists and their illegal activities that have become accepted behaviors, such as running red lights when turning right on red, and speeding. It's common knowledge that unless a motorist is going 10 mph over the speed limit they will not be cited. I'm not optimistic that this bias will change any time soon. FABB has been holding our monthly meetings in various Supervisory Districts around the county. The July meeting will be in the Braddock District which includes the Fair Oaks/Government Center area, George Mason University, Burke, and areas just inside the Beltway off Braddock Road. The meeting is on Wednesday, July 20 starting at 7:30 p.m. at Braddock District Community Room on Burke Lake Road. Below is the agenda. Everyone is welcome to attend. 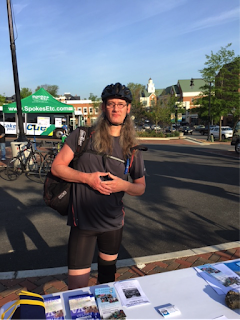 Arley Burnette of Woodbridge spoke to FABB at the Fairfax City pitstop on Bike to Work Day. FABB: Why and where do you ride? Arley: I ride to work almost every day from Woodbridge to my job at the Harley Davidson store in Fairfax City. I ride on a 1-speed bike, and it's a pretty hilly ride. I stay on the road, taking Rt. 123 most of the way. I often am going faster than the cars caught in stop-and-go traffic. A lot of the people at the Harley store think I'm crazy. But I've been doing this for the past three years and I feel great. FABB: What do you like most about riding your bike? Arley: It just puts me in a much better mood. I let off all this steam when I ride. The Washington Post’s Dr. Gridlock recently did an experiment to discover the fastest way to commute into the District during the current Metro SafeTrack Surge affecting the track segment between National Airport to Braddock Road on the Blue and Yellow lines. Dr. Gridlock took Metro trains and buses while a second colleague planned to use a combination of Metro and slugging to get from Franconia-Springfield to The Washington Post offices on K Street. A third associate biked the Mt. Vernon trail from King Street, Alexandria, to the Post. On a normal day, each of the planned commutes should take about 45 minutes. This won’t surprise FABB members, but the biker got to work first, arriving in just over 42 minutes after enjoying a scenic ride. The commuter who planned to catch a ride in a slug line discovered that there were no cars offering rides at the newly established location. He ended up taking the Fairfax Connector express shuttle to Pentagon and then rode a crowded Metro to McPherson Square. But, he made his commute in 46 minutes. Dr. Gridlock relied on the Metro and the provided shuttle bus between stations, and, well, he arrived at his office in 90 minutes. 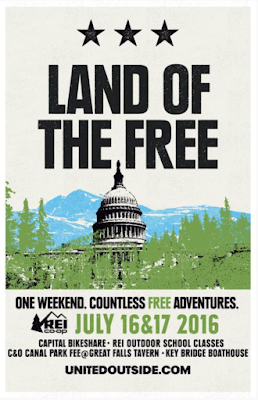 If you’ve been wondering about and even contemplating using Capital Bikeshare, which is soon arriving in the Reston/Herndon and Tysons areas, the specialty outdoor retailer REI is offering a great opportunity to check out the service in the District for FREE on Saturday, July 16, and Sunday, July 17. To celebrate the opening of a new REI in DC this fall, the company is offering a weekend of completely free activities around the city, including district-wide free Capital Bikeshare rentals. Other activities include free entry to the C&O Canal at Great Falls Tavern, Maryland, for biking and hiking and stand-up paddle boarding and kayaking on the Potomac. These offerings are part of REI’s Unite Outside campaign, which will be running for 100 days throughout this summer and fall. You can find more information about the activities and register for them here. 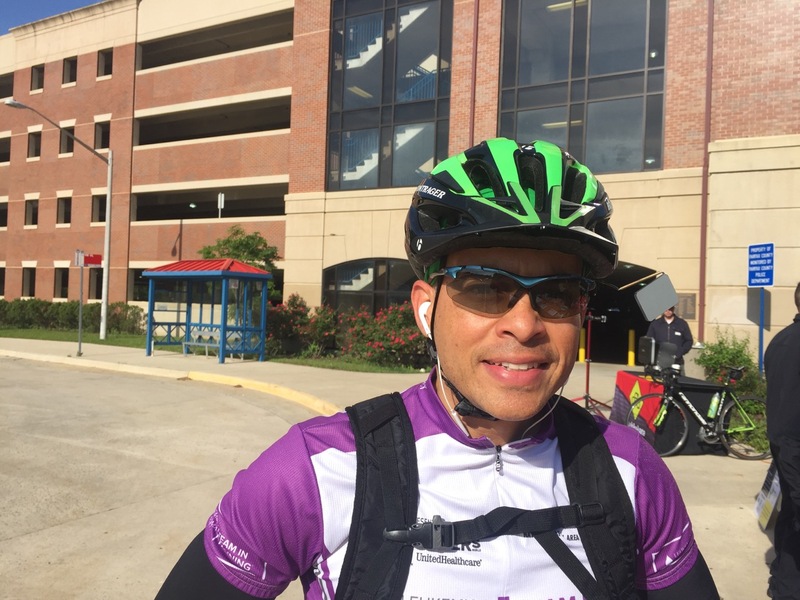 Ricardo Estevez of Burke is a bike commuter who rides in part to honor his daughter, who is a leukemia survivor. In addition to his regular commute to work in Rosslyn, he likes to participate in charity rides. Asked what he likes most about biking, he responded that he enjoys not being in his car. He would like to see more trails and more funding for education on sharing the road for motorists and cyclists. FABB applauds the progress Fairfax County has made in engineering more bike facilities, but our group continues to advocate for the unfunded education and encouragement aspects of the Bicycle Master Plan. We need cyclists and other concerned citizens to tell their supervisors that Fairfax County has to do more to promote biking and to educate cyclists and motorists about bike safety and the “rules of the road.” Funding the BikeFairfax office, as proposed in the Bicycle Master Plan, to handle such encouragement and education activities would be a good place to start.